As every academic knows, writing a paper for submission to a journal is a long and arduous process. It is common for papers to be rejected from the first journal that you submit to, so you will have to reformat the manuscript and resubmit it to another journal. This process of reformatting requires quite a bit of work, even when the paper is staying essentially the same and the only changes being made are cosmetic. Every journal has its own rules about formatting such as fonts to be used, margins, the type and number of images allowed, and citation format. To help you with this process, here are our tips for reformatting your manuscript to submit to a new journal. For career opportunities and job listings in business, finance, and economics, take a look at our jobs section. Before you begin reformatting, make sure that you know exactly what the requirements of your new target journal are. Don't assume that just because you have formatted for one journal in your field that the requirements will be the same for other journals. Each journal will have its own requirements in terms of fonts, layouts, required appendices, image formatting guidelines, and supporting materials, so make sure that you research this thoroughly before you begin the reformatting process. You can find a full list of formatting guidelines on the website for the journal you are aiming to publish in. One part of reformatting that always seems to take forever is formatting your tables of data. Tables are finicky and tend to break when compressed or stretched to fit different paper sizes or margins. Make sure that you check every single one of your tables to see that it is displaying correctly under the new formatting requirements. If you are looking for a way to make reformatting easier and you are fed up of using a word processor like Microsoft Word or Open Office Writer, then you can try a specialist academic typesetting program like LaTeX instead. LaTeX is a little more complicated to use than a standard word processor as it requires you to separate out your content and your formatting and to indicate your formatting choices through the use of a markup language. However, once you have a document prepared in LaTex then you can change the formatting of that document very easily. With a few clicks you can change the fonts, margins, columns, emphasis formatting, and more throughout the entire document. Instead of having to go through your entire manuscript and change every time you use italics, for example, you can just change the italics formatting setting and all of the italic text will be changed for you. If you have the time and patience to learn to use LaTeX now, you will save a lot of time on reformatting in the future. Most academics read all of their journals electronically these days. But don't forget that journals are still printed on paper and that there is a group of people who prefer to read in this format. While text will typically not need any tweaking to look presentable in both electronic and paper formats, you need to pay attention to your figures or images to make sure that they look okay when printed. This is especially true if you use colour images, as colours can vary a great deal between printing and electronic display. Once you have reworked your images and you are happy with how they look on screen, do print them out and check how they look on paper. Often you might find that the colours look too washed out or too dark on paper, or that labels and other text are hard to read. Tweak the colour settings of your images until you are happy with them both on screen and on paper. One of the most time-consuming tasks when it comes to reformatting a manuscript is preparing all of the references or the bibliography. 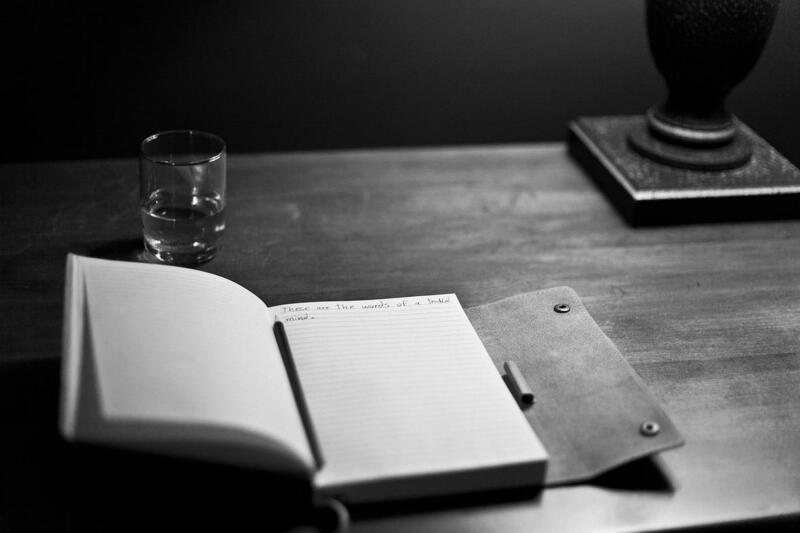 There are many different styles of reference that are used by different journals and it takes a lot of time and concentration to make sure that every reference is done with the exact correct punctuation, use of initials or names of the authors, formatting of the journal name, referencing the page numbers, and so on. If you have a shorter reference list, you can make these changes by hand. But if you have a very long reference list, then you may want to consider using a tool like Mendeley. Mendeley lets you keep a list of all of the references you are using for a project, and then can display those references in various different formats like APA or MLA. Once you have uploaded your reference list to the program, this makes reformatting your reference list much quicker. Some journals will ask submitting authors to suggest other researchers who could be contacted to review the paper. Not all journals require this, so if you are submitting your paper to a new journal which does require it, then take some time to think of an appropriate person or people. You want to choose someone who you do not work closely with or know personally – so don't suggest someone in your department or someone you frequently collaborate with – but you do want someone who knows the field well. If you have met your suggested reviewer a few times, that's okay, but it shouldn't be someone you're close with. Pick someone whose work in the field you know and respect and who you think would have a clear and fair understanding of the work that you've done. Different journals have different policies about sharing data. In addition, your institution might have policies on data sharing that you should be aware of. Wherever possible, sharing your data helps demonstrate your transparency and commitment to high standards of research, as well as contributing to the broader academic community. Look into the journal's data sharing options and discuss with your co-authors and others in your department to find out if you should share your data publicly. Just like when you apply for a job, your cover letter for a journal submission should be adjusted to the particular requirements of the journal. Don't use a standard template letter for all of your manuscript submissions, though it is okay to start with a standard template and then make tweaks according to the journal. Try to specify why your work would be of interest to the particular readers of the journal in question – for example, is the journal read mostly by clinicians, or researchers, or educators? Also, if possible try to link your manuscript to a theme of the journal or to other articles which have previously been published in the journal. This helps to support the idea that your work would fit in with the journal's message and would be interesting to its readers. Many journals now have some kind of electronic plagiarism detection, where you must upload your manuscript for it to be automatically checked against other work for similarities. Uploading your document and getting the detection software to accept it can take a few attempts and more time than you think, so don't leave this until the very last minute if you're on a strict deadline. When you need to reformat a paper, at first you might think that it will be a quick job. After all, you just need to tweak a few things with the layout, right? Unfortunately, the reality of reformatting is that it always takes more time than you expect. Even though the changes you are making to your manuscript are minor, it still requires time and attention to make sure everything is correct. 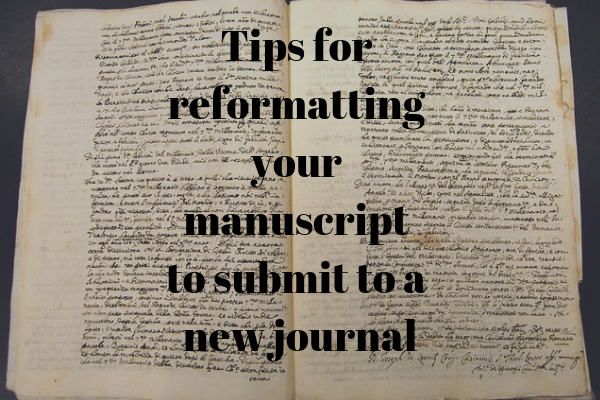 Set aside a week or two to perform all the reformatting and try to be patient, as it will inevitably take a while to get the manuscript ready for your new journal submission. Looking for a graduate program to continue your studies? Check out our program listings.